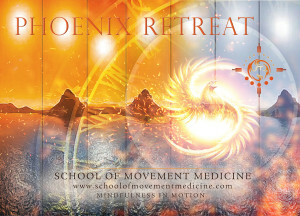 Movement Medicine is a powerful and catalytic healing practice. 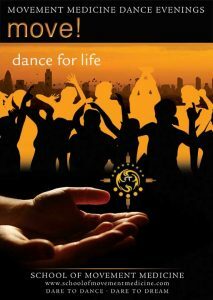 In order for you to benefit from this work, you will need to be able and willing to take responsibility for yourself, emotionally, physically and psychologically whilst travelling through some deep experiences on the dance floor. Sufficient internal and external support systems need to be in place ideally before you begin so that this work that can be usefully integrated into your life. 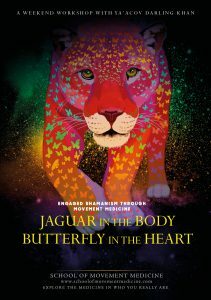 Movement Medicine offers a methodology for embodied learning and self-development. We don’t claim to be able to solve the challenges, difficulties or dilemmas of your life, but we do offer practices and perspectives that can help and empower you to better do this for yourself. Movement is medicine and this medicine is body-based. For those people whose histories mean that being in the body is frightening or overwhelming, this journey will need to be taken slowly and in conjunction with individual support from a professional such as a coach, counsellor, psychotherapist, mentor etc. In certain cases, people find that there is therapeutic one to one work that they need to do before coming to Movement Medicine. It is the sole responsibility of you, as the student, to be upfront about your history and any related concerns or pre-existing life challenges when applying for a course. It is important when doing this work to make sure that you have adequate support on all levels. This means taking care of your physical body and making sure that there is emotional support available for the times when you may need it. We recommend making sure that you have support structures in your life during intense periods of study. If you want to dance long-term and as you get older, we recommend making sure that attending to your physical well-being is part of your daily life. We have benefited from cranio-sacral therapy, acupuncture, energy-physio, massage, yoga, and regular exercise (like walking) and paying attention to our diet, especially letting go of sugar. Of course any methodology, however wonderful, is only as good as its practitioners, however highly qualified. We recommend that you trust your own experience and your own body about what is good for you. Movement Medicine is not therapy though it is therapeutic. In any spiritual practice, there are times of change and emotional turbulence. Sometimes, the one-to-one support of a therapist or mentor is vital. We often recommend that students spend some time in one-to-one work in order to receive support to integrate the workshop experience. 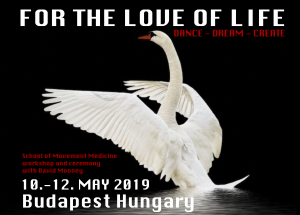 There is also a Movement Medicine mentoring service. For more details please go to the Coaching Page. As we wake up to the layers of history and stories we hold inside our bodies, minds and hearts, it can help to have a frame of reference to understand what is going on. We have created a Reading List of the books we have found useful. 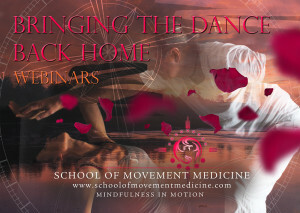 The webinars, which we call Bringing the Dance Back Home, are useful for integration and personal practice, to help build a bridge between the workshop and everyday life.